Walls inspired by local, homegrown artistry. 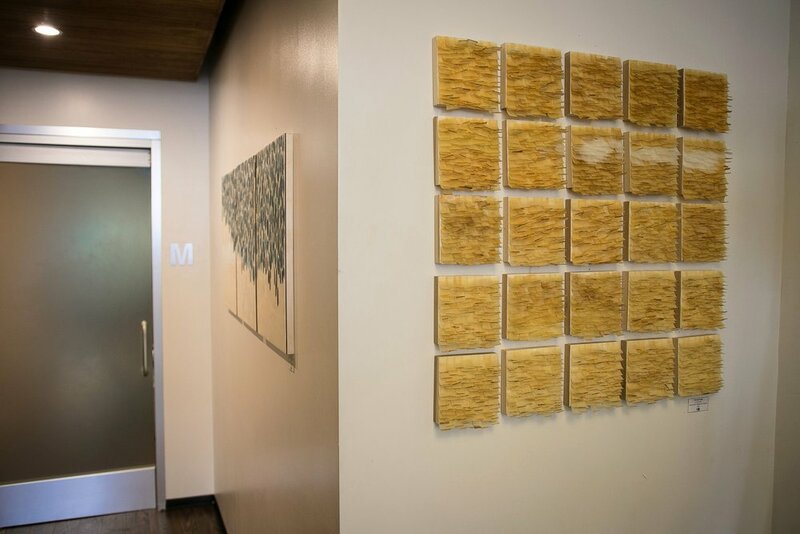 Since opening in 2004, DIAKADI has worked together with local artists to host inspiring work within our space in order to assist with motivating our clients during their daily workouts, while also introducing them to the incredibly talented pool of Bay Area artists. The next time you visit DIAKADI, we welcome you to take a moment, step back and observe the current pieces on display. If you become particularly attached to a piece, you don't have to come all the way to DIAKADI to enjoy it. In true art gallery fashion, all pieces are also for sale.